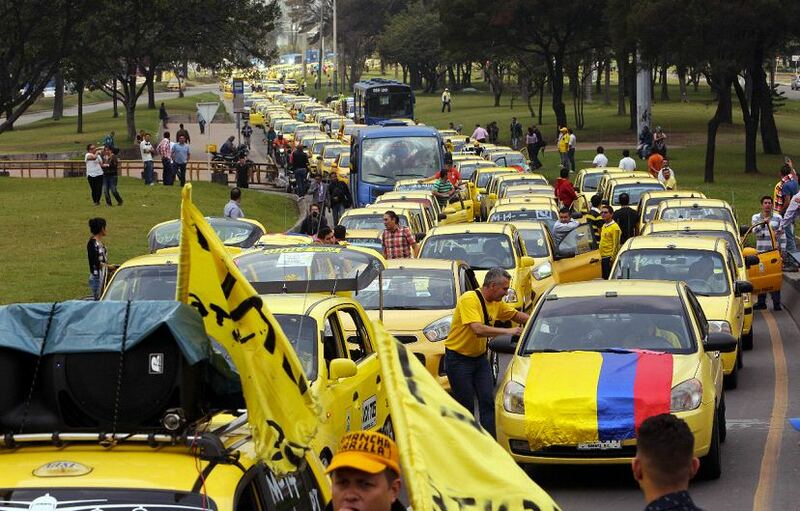 TODAY COLOMBIA – Thousands of taxi drivers, shouting slogans such as “Uber out” and “Down with piracy” brought traffic to a near standstill in Bogota, the capital of Colombia, a city of more than 8 million people. 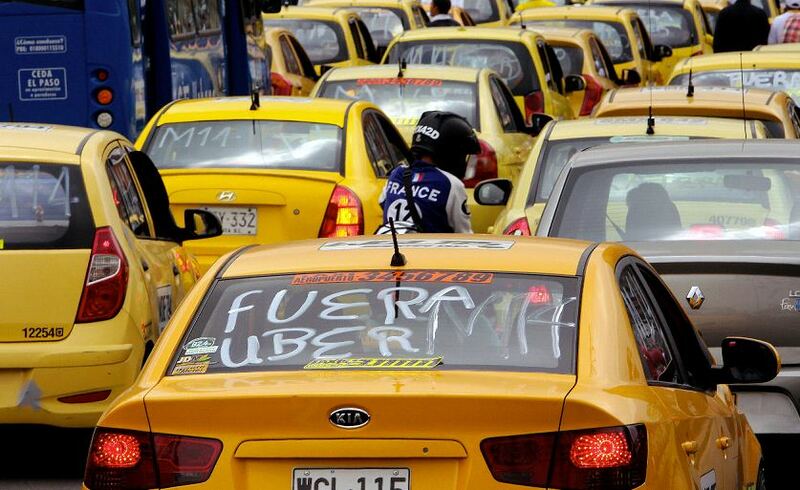 But taxi drivers don’t quite agree with that. 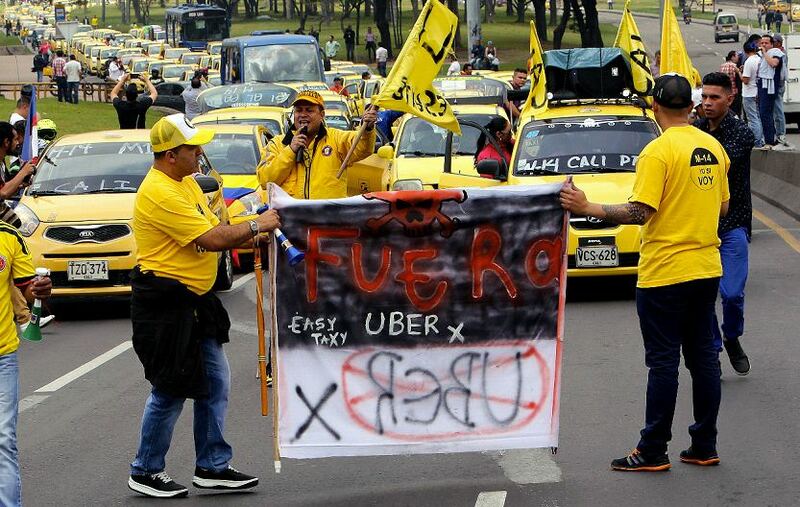 Last week, Colombia’s transportation authority fined Uber 450 million pesos (about US$142,000) for providing “unauthorized” transportation services. 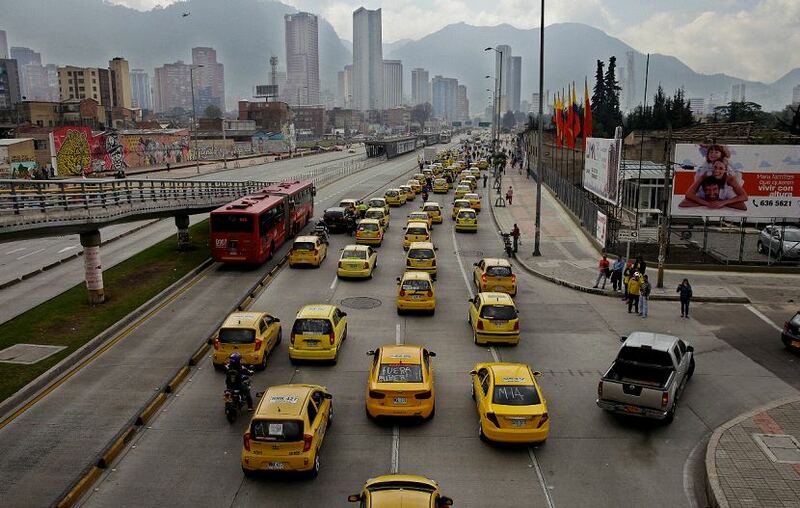 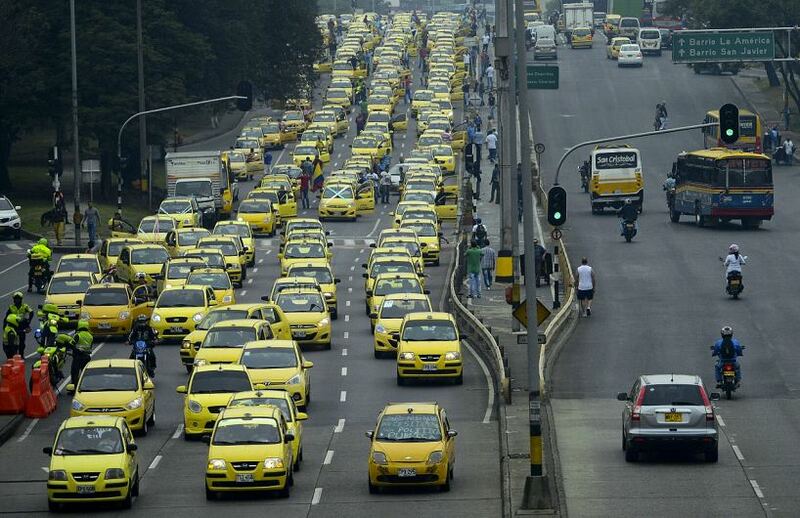 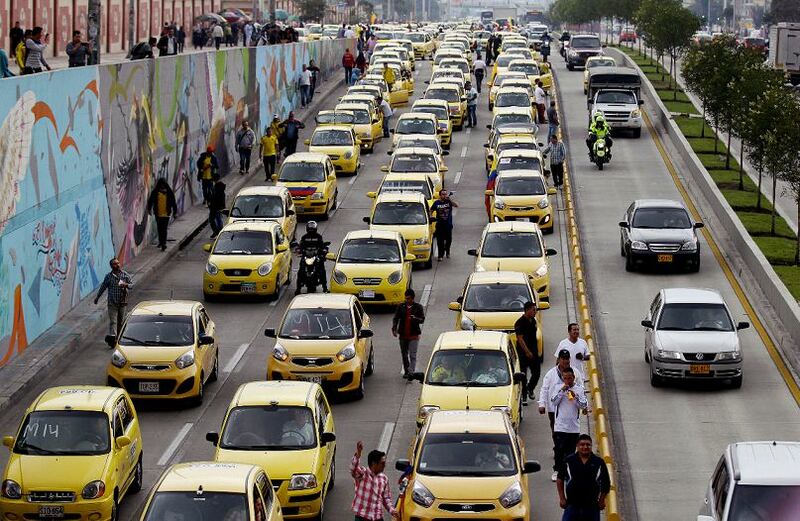 The strike, known as M14, saw major roads overtaken by slow moving yellow taxi (all taxi in Colombia are yellow). 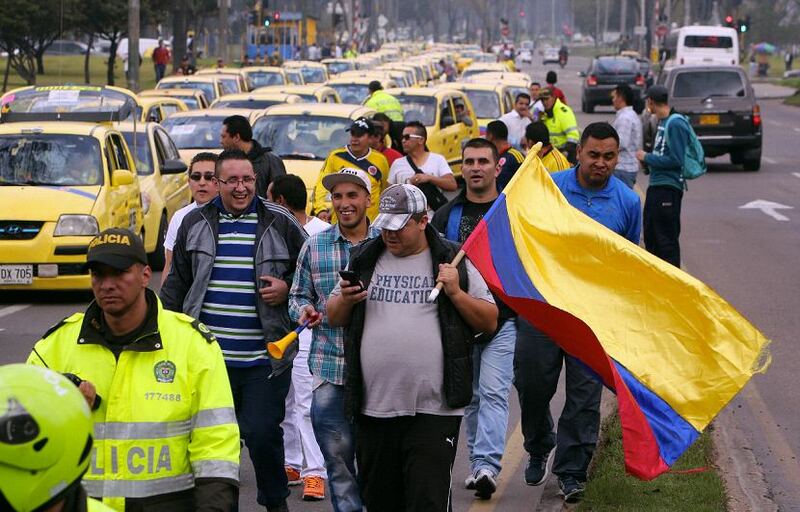 The caravan ended at the Plaza de Bolívar midday in the heart of Bogotá and a few blocks from the Presidential Palace. 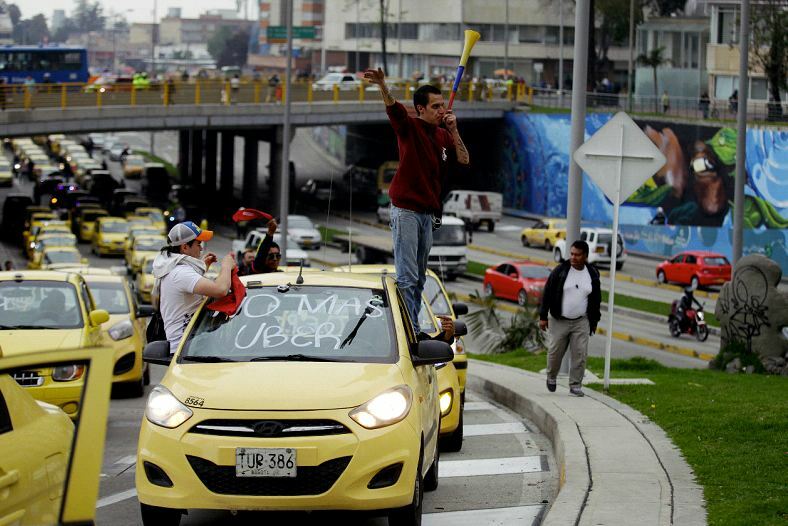 Similar protests took place around the country’s other major cities. 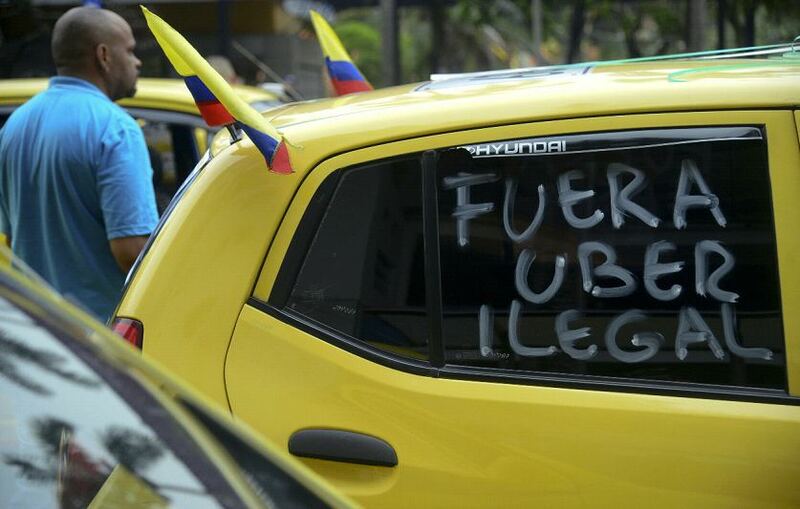 In Monday’s protest riot police moved in as tension boiled, in total some 16 taxi drivers were arrested and four police officers were injured. 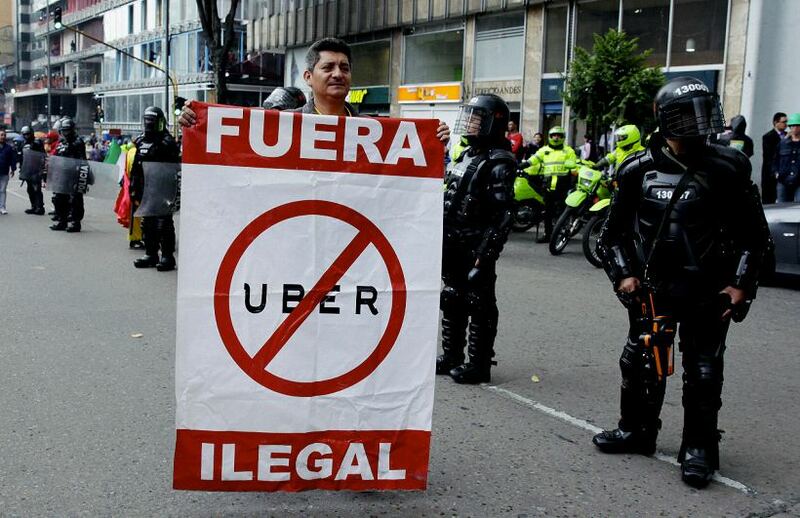 Uber is illegal in Colombia, although the government has said it is working on a compromise plan to allow Uber to operate within the law, on Monday promising regulations within two weeks. 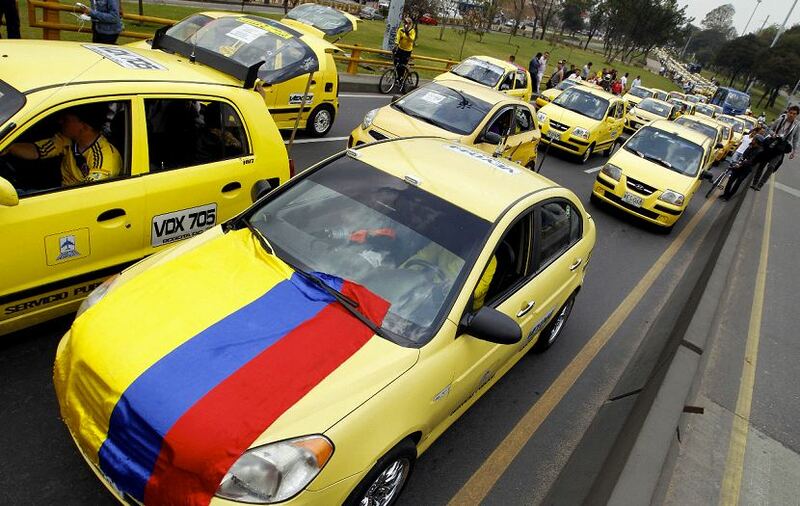 While more than 2.000 taxi drivers took to the streets, others protested by staying off the streets – not providing services – for the day.Uber began operating in Bogotá in 2013 and now serves 11 Colombian cities, including Medellin, Cali and Cartagena.